 IC Confections is a family owned grass roots company located in the Portland Oregon metro area. We make fudge and hand dipped truffles. All fudge and truffles are made with the highest quality ingredients. We also offer some low fat alternatives for the calorie conscious. We make and package IC Confections with products from USA companies only. Sarah Isaacs is the founder and confectioner behind these delectable treats. She and her husband Michael initially started the business to help their children’s school. With amazing encouragement we have turned it into a opportunity for all to enjoy. We participate in many events including the ChocolateFest in Portland Oregon the where many people found our Extra Dark Chocolate Salted Caramel Fudge, Chocolate Peanut Butter Marbled Fudge, Extra Dark Raspberry Fudge were crowd favorites. Currently IC Confections Fudge and Truffles are available at The Gym-Nest in Hillsboro Oregon, Hillsboro Farmers Markets, Beaverton Farmers Market, online at the square market place at https://squareup.com/market/dba-ic-confections, via e-mail or by phone for shipment across the United States and Canada. Also, find us on Facebook at www.facebook.com/ICConfections for updates about other events and new products.